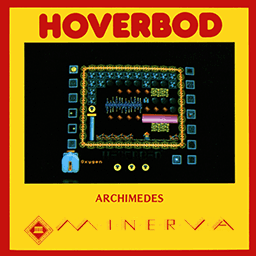 In this absorbing arcade adventure game Hoverbod, a yellow spherical droid from the planet Zingle, attempts to retrieve some treasure previously stolen by the evil Barriuss Stearneruss. 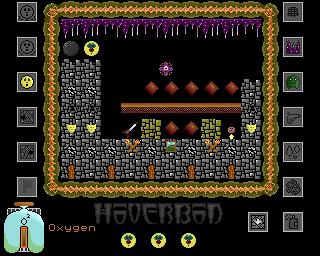 To assist the courageous Hoverbod you must guide him through the perils which befall him and help him puzzle his way through the eight different levels to the final quest level. 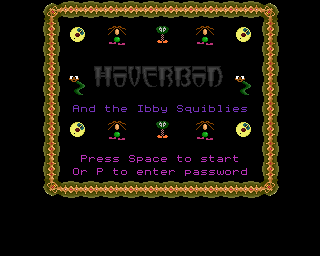 As he starts to collect the diamonds on his way, beware ... the Ibbles and Squibbles have started to materialise!!! I was going to say "this looks like it was made with the level editor in Ibix the Viking - then I realised this game was released first! So - was Ibix made with this game's level editor? So - was Ibix made with this game's level editor? I think they're just similar games...although they do both suffer from the same issues and are both written in BASIC, so its possible they share code.